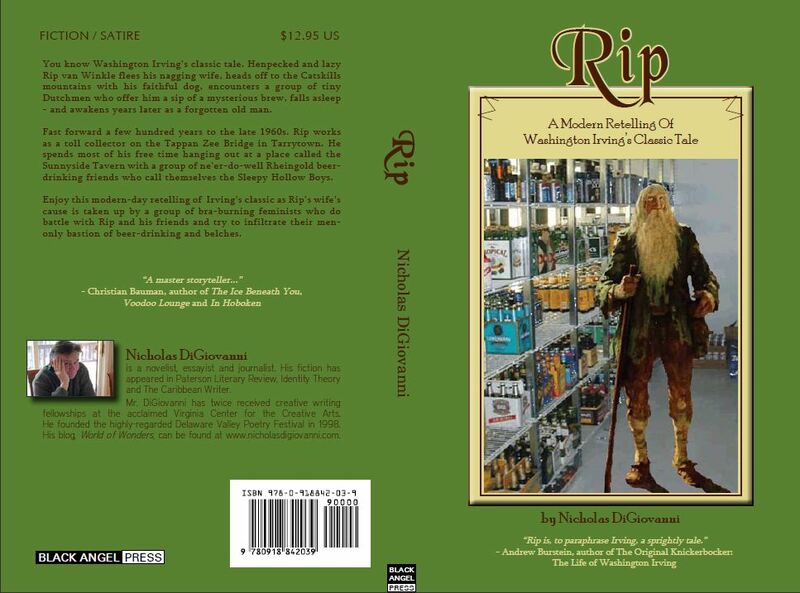 Nicholas DiGiovanni, author of "Rip" to speak at Holland Library on March 16, 2013 at 1 p.m. Please sign up at the library to reserve your spot. In 2009, 2010 and 2012, he was a resident fellow at the renowned Virginia Center for the Creative Arts in Amherst, Va. DiGiovanni also has spent considerable time in residence at Wellspring House, a writers retreat in the Berkshires. He is represented by Michele Rubin of Writers House literary agency in New York City. DiGiovanni founded the Delaware Valley Poetry Festival, held annually in western New Jersey since 1998, which has featured widely-acclaimed poets including Robert Pinsky, Rita Dove, Louise Gluck and Paul Muldoon. In 2011-2012, he was a member of the planning committee for the annual Massachusetts Poetry Festival. Born at Fort Dix Army Hospital in New Jersey while his father was serving in the Air Force, DiGiovanni grew up in Yonkers, N.Y. He lived in Alexandria Township for many years – his three children all graduated from Delaware Valley Regional High School and he was editor for more than two decades of the award-winning weekly newspaper, the Delaware Valley News. He recently left New England and is now dividing his time between New Jersey and New York.